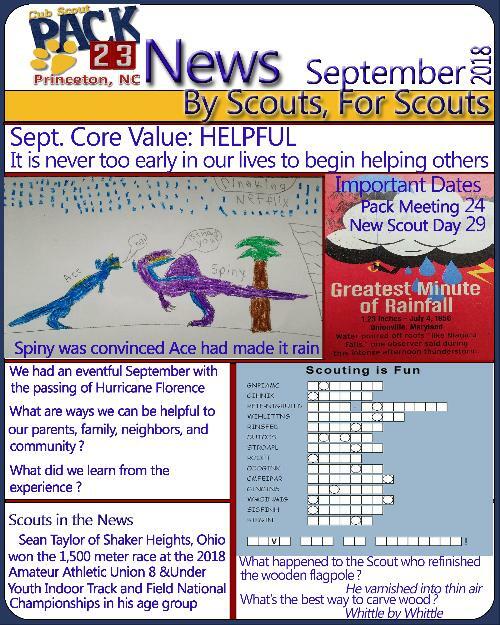 Pack 23 is sponsored by the Princeton Lions Club and is part of the Neusiok District of the Tuscarora Council. Meetings are held in the Community Building located at 106 N. Center Street Princeton, NC. Interested in some delicious Caramel Corn? Did you know you can order directly from us online at https://www.trails-end.com/store/scout/HPN4AQ6U and have it shipped to your door? Order from the comfort of your home AND help the BSA?! Win-Win! Roundup has been scheduled for Oct 2nd at 6:30pm at Princeton Elementary. Due to flooding and necessary cleanup after Hurrican Florence, the campground will be closed for a few weeks. New Cub Day has been rescheduled. I'll upload the flyer once it becomes available. Come support our Pack! We'll be at Smithfield Walmart Saturday Oct 13 from 10am-6pm! Interested in joining our Pack? 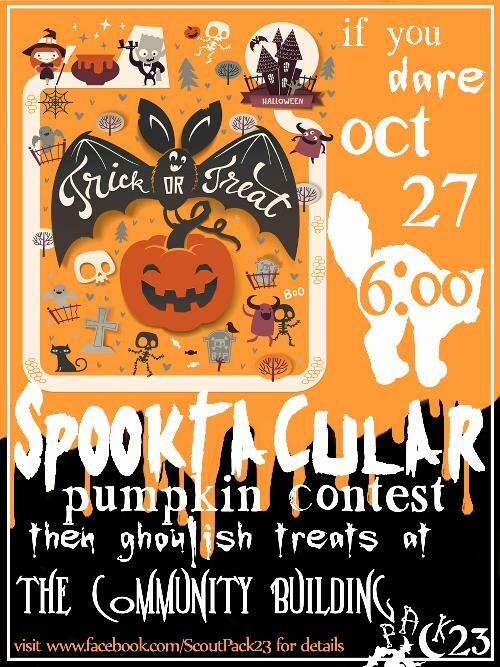 Come to our next Pack meeting, October 22nd at 6:30pm or our Halloween Spooktacular October 27th. Both are held at the Community Building! 10/02/2018 With Hurricane Florence, several dates had to be changed on the Calendar. The Calendar is now up to date. To see what our Scouts are up to, check out our Gallery Page! Welcome to Princeton Cub Scout Pack 23! 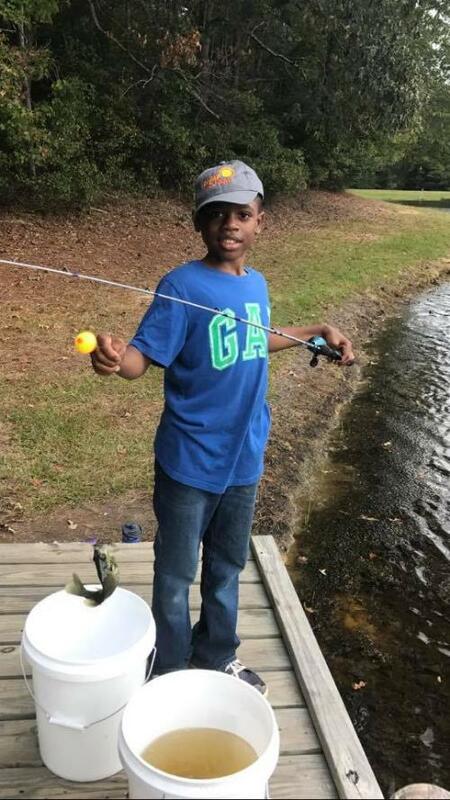 Apart from the fun and excitement of Cub Scout activities, the Cub Scout Oath, Scout Law, and the Cub Scout sign, handshake, motto, and salute all teach good citizenship and contribute to a boy's sense of belonging. What will scouts do in Pack 23? Here is just a sample of some of the fun activities for Pack 23. 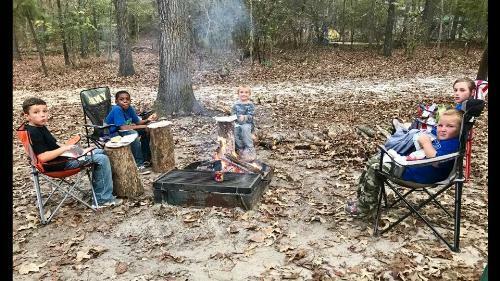 Campouts – One in the fall, one in the spring. 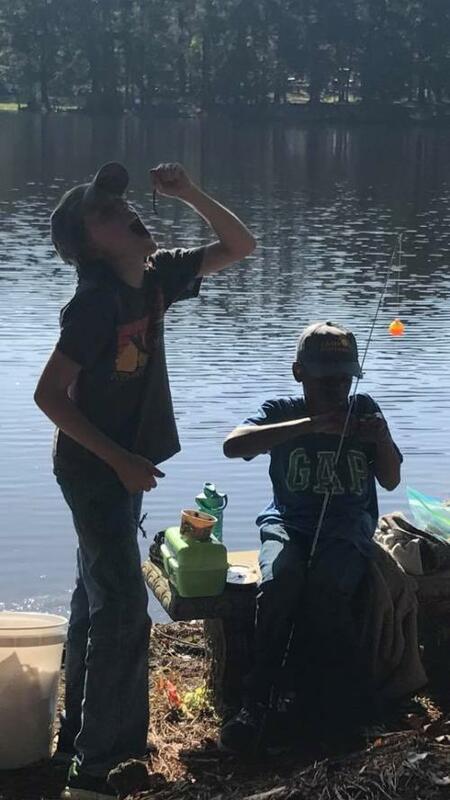 Overnight camping for boys, their parents, and siblings with plenty of events for earning badges and building comradery. Blue and Gold Banquet – a "birthday party" celebrating the parents and leaders who volunteer to make cub scouting great. Veteran's Day Parade – The Pack marches with pride to honor those who have served our country. Take a look at our Media Gallery for photos of Pack 23 in action over last year! Who is in Cub Scout Pack 23? Ranks are not prerequisite of each other. A scout's rank is based on their grade. You do not have to have completed one rank to become the next and you do not have to complete any ranks you missed before joining. 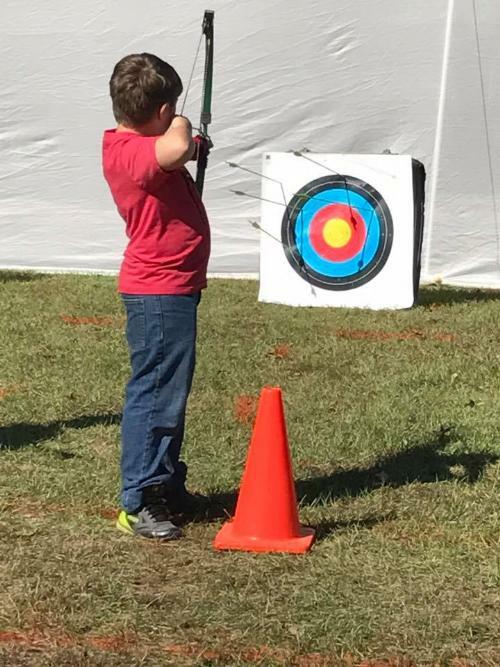 How does my son join Pack 23? 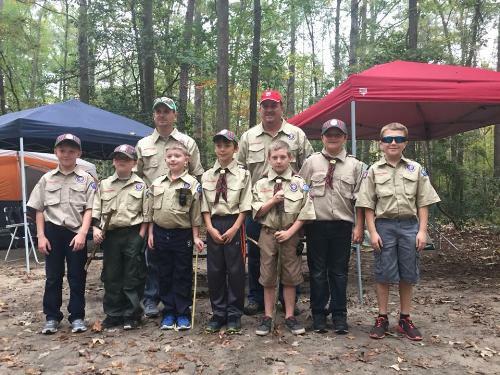 Boys can join Cub Scouting at any point during the year by filling out a youth application, and the Health Form and submitting them, along with the council registration fees at the next pack meeting. 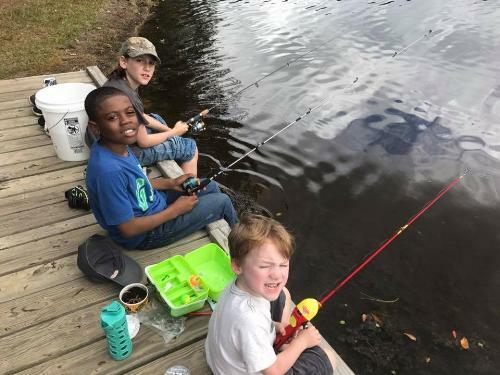 Boys who join in the spring may go to Cub Scout summer camp, too. Please contact Pack Master Nella McCraw, for more information. Interested in donating to Princeton Cub Scout Pack 23? We have PayPal as well as accept cash and check donations in person. There is an initial registration fee of $13.75 which is paid to the Tuscarora Council. Beginning this fall, we will offer the option to pay dues. 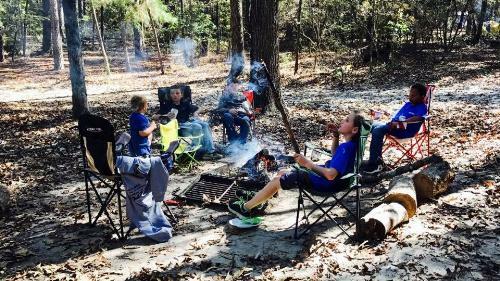 Dues will cover the cost of one camping trip including breakfast, dinner, and s'mores for a parent and scout ($34), Pinewood Derby car ($5), "class B" uniform Pack 23 t-shirt ($10), graduation food and cake ($15), Charter registration in February ($34), and supplies ($2). The amounts in parentheses are the individual costs if you'd rather pay each fee individually. For Tigers through Arrow of Light ranks, our dues will be $100 for the first scout with a subsequent family discount of $20 for each additional scout who joins. You will have the option of paying dues upfront or paying $10 at each pack meeting. You will also have the option of paying for BSA sponsored events out of pocket. Please be aware that there will be deadlines for participation in those events. If annual dues place an excessive burden on your family’s finances (especially if you have more than one son in Scouts), please contact the Cubmaster, Pack Committee Chair or Pack Committee Treasurer to discuss alternate arrangements. Although the Pack depends upon this fee to fund our many activities, we’d like to see all boys able to participate in Scouting. We do hope to either fully or partially subsidize the cost of the optional activities through Fundraising. Please feel free to contact the Cubmaster with any fundraising ideas you may have.Please be aware the BSA does not allow any fundraisers which could be construed as gambling (e.g. raffles). In addition to the Pinewood Derby and BSA sponsored camping events, we will have the option to attend the day events of the Camporee, Farm Daze at Sonlight Farms where we will learn about agricultural practices through the FFA, have a cub scout pot luck Halloween Party and Carnival themed Blue and Gold Banquet where each den will be responsible for a different carnival game, and travel to the Carolina Tiger Rescue for a special Cub Scout Day where we will learn about wildlife veterinary medicine, wildlife conservation, and even get to paint with the tigers. 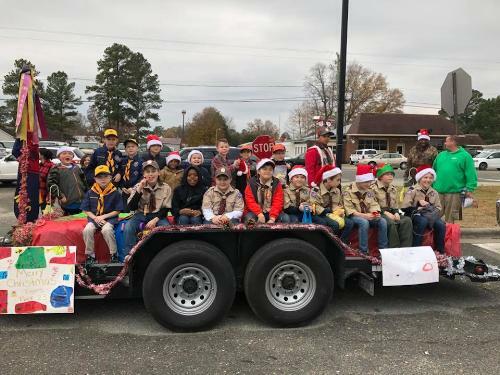 In addition to the Veterans Day Parade, Christmas Parade, and Princeton Community Day, our Pack will also participate in a Scout Pumpkin Carving Contest where the pumpkins will be displayed on Edwards Street and Caroling during the Christmas lighting. For our conservation projects, we have partnered with Princeton Elementary School to recycle. Each month a different den will be responsible for maintaining a collection schedule and delivering recyclables to the most convenient recycling center. We've also partnered with Princeton Elementary School and Crayola to recycle markers. We will also hold a Community Closet where local children can "shop" for clothes for free. The Community Closet will be open for 1 hour after our monthly Pack meetings and all leftover clothes will be donated. We will also crochet octopi for the Rex NICU. All projects have been chosen to fulfill requirements in conservation and stewardship. We will also hold optional workshops in crochet, wood working, and bushcraft. The crochet workshop will teach our scouts how to crochet a fishing net but will also teach them the basic skills to contribute to the octopi which will be delivered to the Rex NICU. We will also hold a series to receive credentialing from the American Red Cross in Basic First Aid and CPR. Workshops will have a nominal fee of $5-$8 to cover materials.The series for credentialing will have a fee of $25 to cover the costs of materials and the examination. Workshops will be open to the community. To work towards STEM adventures, we will have summertime activities encompassing STEM subjects to apply to both the Summertime Pack Award as well as Nova Award. Did you know the Den Handbooks are available for free online? If you’re buying a uniform for the first time, we highly recommend going to the Tuscarora Council Shop located at 172 NC 581 Hwy S. Goldsboro, NC 27530 (Near the intersection of Hwy 70 behind the Rosewood Sheetz). You’ll be able to try on the uniforms and they will have the correct council shoulder patches available. They’re also extremely helpful. You can also buy a uniform online at http://www.scoutshop.org/shop-by-scout. You can choose your scout’s rank and customize from there. We will also begin a uniform exchange box this year where scouts can hand down the uniform pieces they no longer need or have outgrown. 1 belt and belt buckle (appropriate for rank*) – Note that buckles are changeable, so as your scout advances you can just buy a new buckle if the belt still fits. Pants & Socks: Uniform pants and socks are optional. Pack 23 scouts can wear their own pants and socks. Jeans are fine. We STRONGLY encourage you to write your last name on the cap (there’s a white label inside), neckerchief (middle of the longest side—the neckerchief will be wrapped along this side so it will not show), and slider (put a piece of masking tape on the back of the slider) so that we might be able to identify any found item. Attached below for your reference are the formal uniform inspection guidelines issued by the Boy Scouts of America and sheets that show wear the patches go. Please note that Pack 23 does not include Scout pants in our inspections. All Scouts must have a current Health A&B form. The Health A&B form is valid for 1 year. I've deleted the application forms as we now accept online applications! Visit Beascout.Scouting.Org to join our Pack!